Whether you grew up immersed in the Jewish religion and culture or barely attended temple, you may wish to incorporate Jewish wedding traditions into your big day. 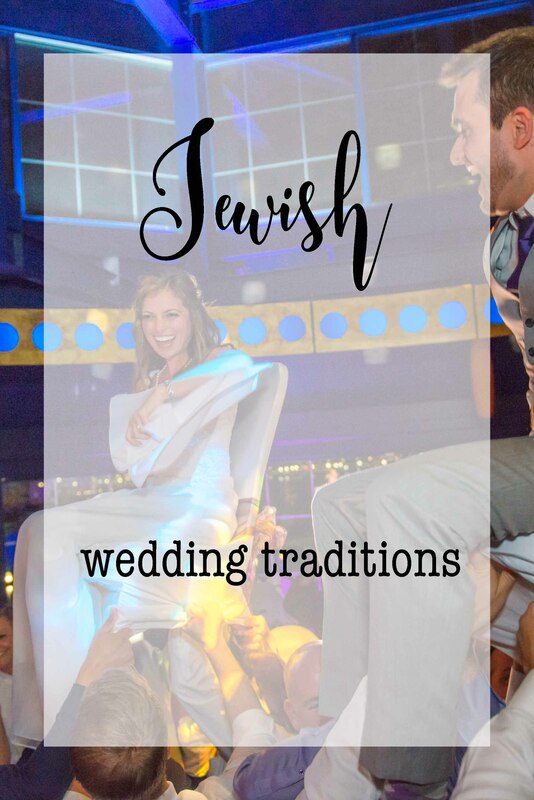 Depending on your subculture (Ashkenazi or Sephardic), your level of orthodoxy, and whether or not you are marrying a fellow Jew, these traditions may be optional or mandatory. 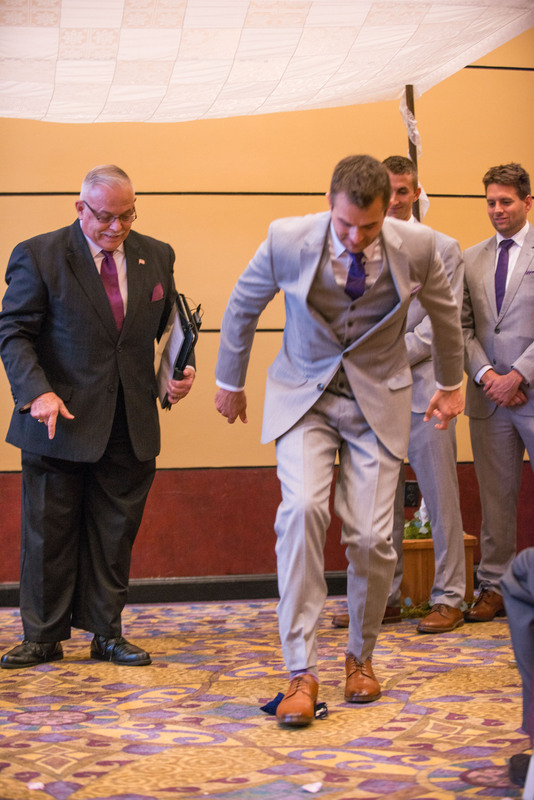 You’ll want to be sure to fully outline your ceremony with an ordained Rabbi or other officiant to decide the best plan for you, your future spouse and your family—and discuss any reception traditions with your family members as well. These are some of the most common Jewish wedding traditions that you may include in your special day. On the Shabbat prior to the wedding, a Jewish couple may partake in an aufruf, which means “calling up” in Yiddish. At this ceremony, either the groom or the couple together are called up to recite an aliyah, or special blessing recited before and after the reading of the Torah. The rabbi will then bless the couple and their impending union. Guests may toss candy to the groom or couple to celebrate, and there may be a small reception following. Depending on the Jewish community to which they belong, some Jewish couples fast on the day of their wedding. Similar to the significant holiday Yom Kippur, this is done to atone for any sins. The couple may eat again after the wedding ceremony. At a Jewish wedding ceremony, male guests, Jewish or not, cover their heads with a skullcap, known as a kippah or yarmulke as a sign of respect. Married women traditionally cover their hair as well, often with a lace head covering secured with a bobby pin, though in some communities, women wear kippot as well. The couple provides the head coverings at the ceremony, so guests do not have to bring their own. At Orthodox Jewish weddings, men and women may be required to sit separately during the ceremony—and sometimes the reception as well. You may see a mechitza, or partition, set up to divide the men and women. At some Jewish receptions there may be separate dancing as well, with either two dance floors, or a mechitza dividing a single dance floor into men and women’s sides. In more Orthodox communities, a bedeken ceremony takes place before the wedding. Before the bedeken, the bride and groom are separated. The groom and his male friends and relatives make a joyful processional to the bride, who sits on a throne surrounded by female loved ones. As guests sing and dance, the groom places a veil over the bride’s face. This tradition represents modesty, and references several biblical stories. A common Jewish wedding tradition is the signing of the ketubah, or marriage contract, or more accurately “covenant”. A ketubah signing ceremony is traditionally held shortly before the actual wedding ceremony. The couple chooses two witnesses (not blood relatives) to sign the ketubah with them, and a rabbi or officiant and close family members are also present for this important moment. The signed ketubah is frequently displayed during a Jewish wedding ceremony as well as the reception. This document should be photographed and is considered sacred to the couple for many generations as a testament to the covenant the couple made to each other. The chuppah is among the most important Jewish wedding traditions. This wedding canopy consists of a cloth supported by four poles, which may either stand on their own or be held by wedding party members or honored guests. 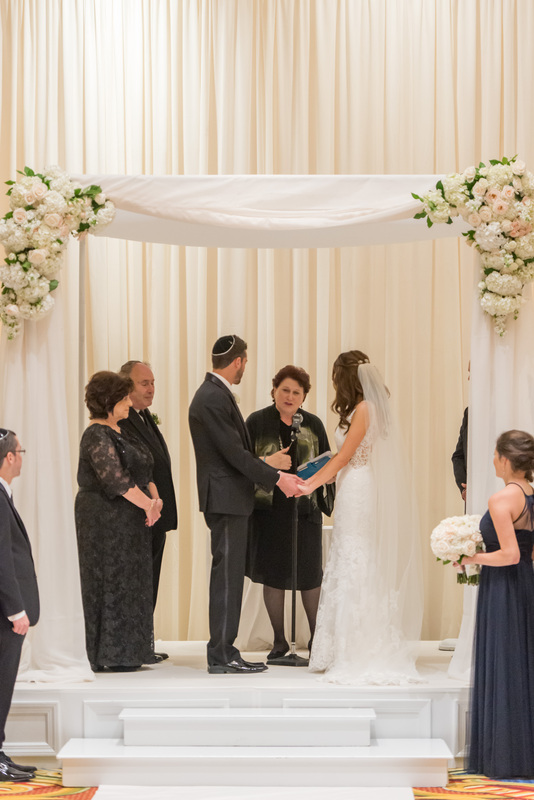 The chuppah may be simple or elaborately decorated, depending on the wishes of the couple and their families. The chuppah represents the creation of a Jewish home and a show of hospitality to the assembled guests. During a Jewish wedding ceremony, the officiant and parents of the couple stand with the soon-to-be married couple under the chuppah. The best man and maid of honor may also stand under the chuppah, if desired. In Jewish wedding tradition, the processional is a bit different than one you’ll see at a Christian ceremony. After the rabbi, the bride’s grandparents and the groom’s grandparents are escorted down the aisle, followed by the groomsmen and best man. The groom is then escorted by his parents down the aisle, followed by the bridesmaids and maid of honor. The bride is then escorted by both of her parents down the aisle. 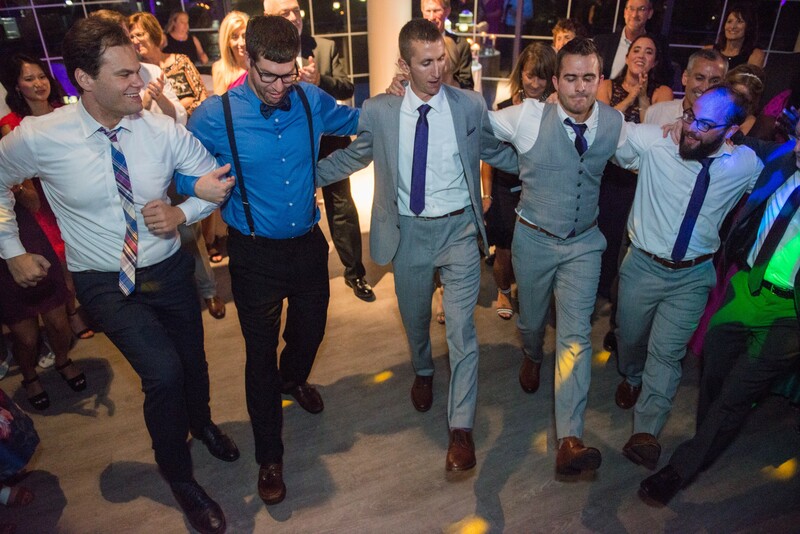 Known as hakafot, the tradition of the bride circling the groom is common at many Jewish weddings—though some couples have updated this custom to reflect modern relationships. During the processional and before the bride reaches the chuppah, she walks in a circle around the groom three or seven times. There are several reasons for this, but it’s most often seen as the bride creating a “wall of protection” around the groom. Some couples choose a twist on this tradition by circling each other to demonstrate equality in their relationship. If this is the case, the bride circles the groom three times, the groom circles the bride three times, and then they circle each other once. The sheva brachot are seven blessings that are recited by the rabbi during the wedding ceremony. They are recited over a cup of wine during the latter part of the proceedings, and are usually recited in Hebrew though they may be translated into English as well. Often, the blessings are audibly recited by family members, close friends, or members of the bridal party. A tallit, or fringed prayer shawl, may be used in several ways as part of Jewish wedding traditions. A bride may give her groom a tallit as a wedding gift. A tallit may also serve as the cloth portion of the chuppah. And during the final blessings, the couple’s parents may wrap the tallit around the couple’s shoulders as a symbol of unity and being surrounded by love. During the final moments of a wedding ceremony, the groom breaks a glass (usually wrapped in a cloth napkin or bag to avoid injury!) with his right foot. The couple will then usually kiss, and guests shout “Mazel Tov!” meaning “Congratulations!” There are many conflicting reasons why this Jewish wedding tradition takes place, but it’s most commonly thought of as a reference to the destruction of the Temple in Jerusalem. Yichud refers to seclusion, which takes place immediately after the wedding ceremony. According to Jewish wedding tradition, the newlyweds are secluded from their guests for a period of time after the ceremony (usually for at least eight minutes). At one time, this was where the marriage was consummated, but nowadays, the couple will simply enjoy some quiet time (and food!) before greeting their loved ones at the reception. 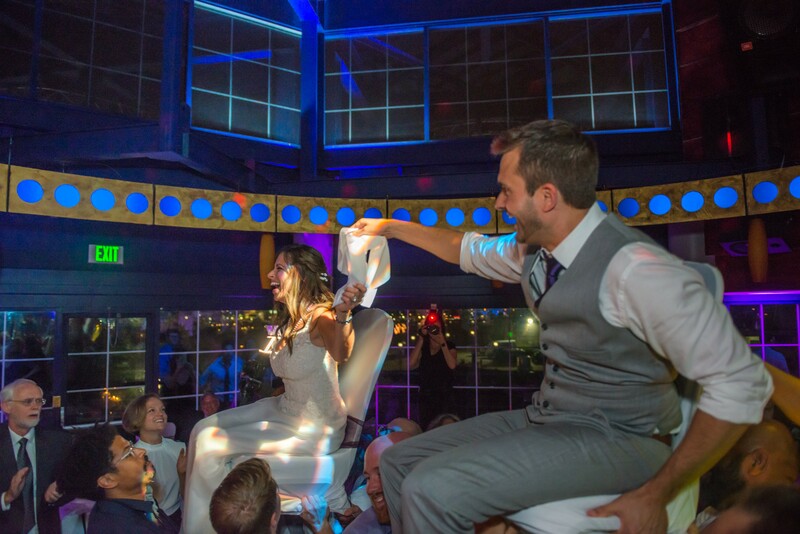 If you’ve ever attended a Jewish wedding, you’re probably familiar with the hora—one of the highlights of Jewish wedding traditions. This joyful dance usually takes place either immediately after the newlyweds enter the reception room or after the first dance. 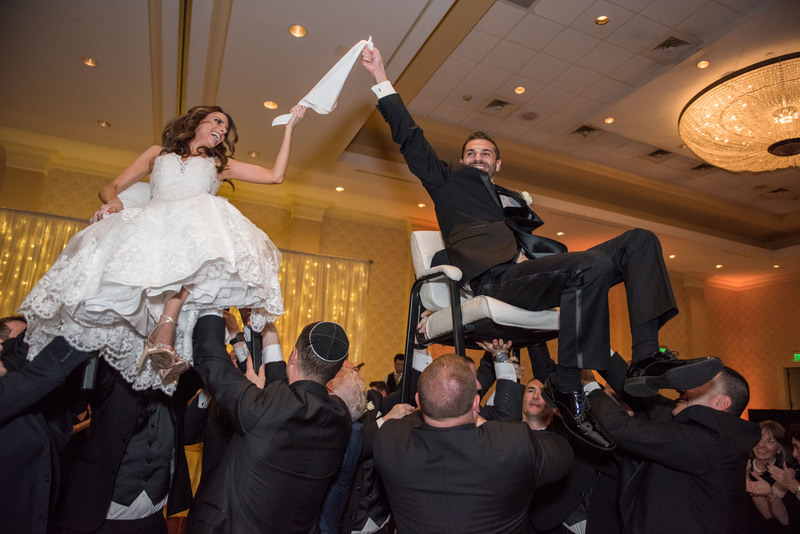 As traditional Jewish music plays, guests dance in circles and the couple is seated on chairs and hoisted into the air, where they may hold either side of a handkerchief or cloth napkin. Another Jewish wedding dance you might see during a reception is the mezinke tanz. This dance occurs when the last child of a family is married. The parents of the child sit on chairs and the mother wears a floral crown. Guests dance around the parents and congratulate them on the special occasion. This may be done for the parents of the bride, groom, or both, depending on if they are the last in the family to be married.